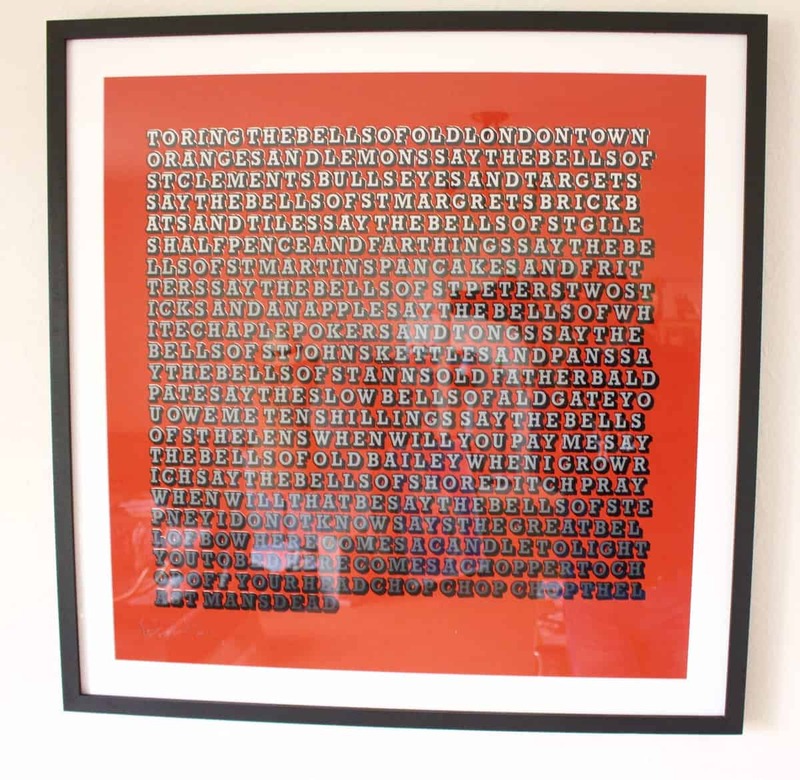 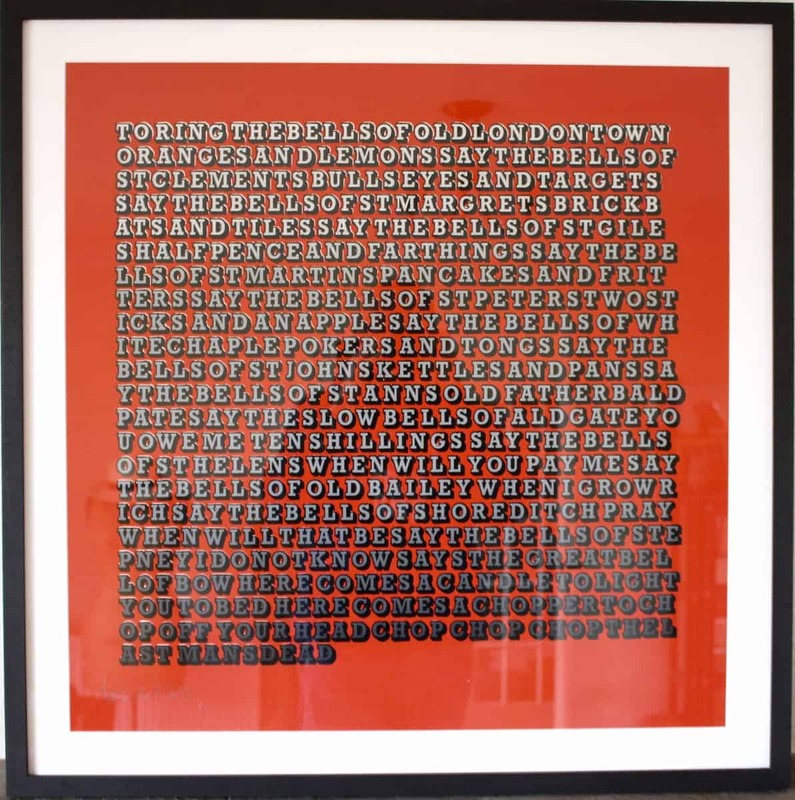 A striking screen-print by highly collectable Ben Eine. 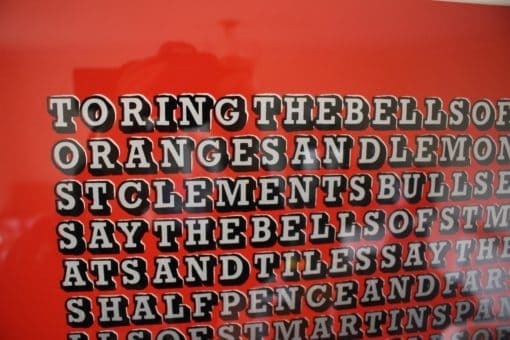 “Oranges and Lemons” is a traditional English nursery rhyme and singing game which refers to the bells of several churches, all within or close to the City of London first noted in the 17th century. 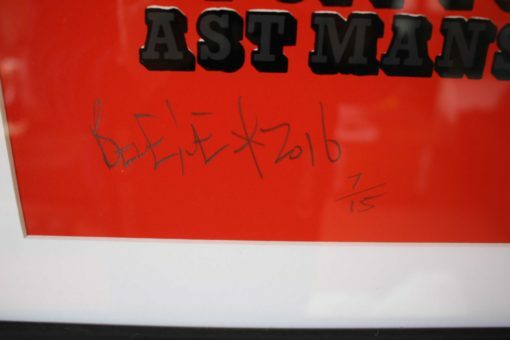 Signed and dated by the artist. 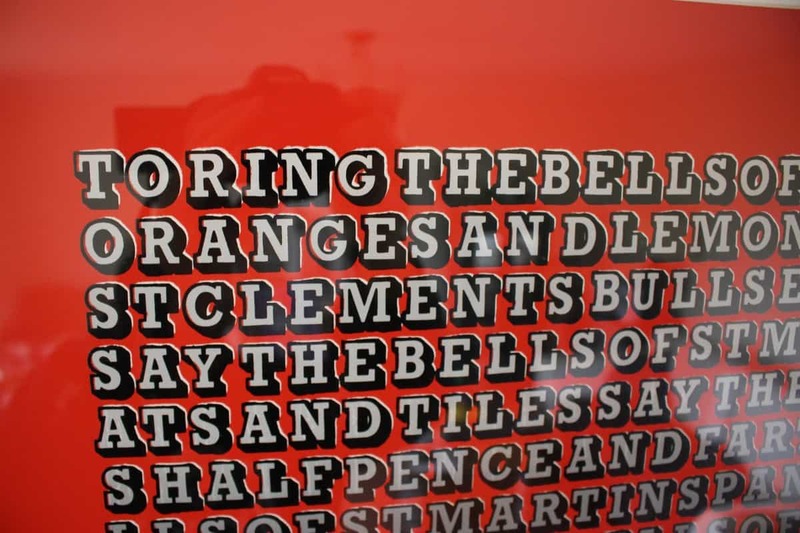 Blood red with a faded grey font. 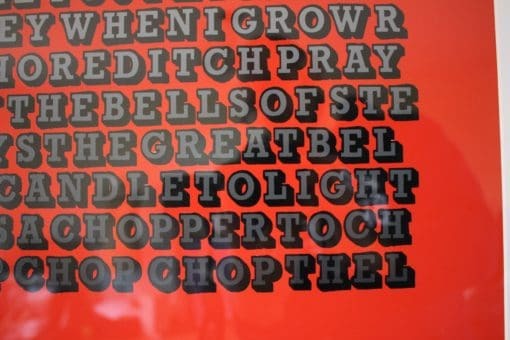 Eine is one of the most successful street artists in the world today and is regarded as a Pioneer in the exploration of graffiti letterforms. 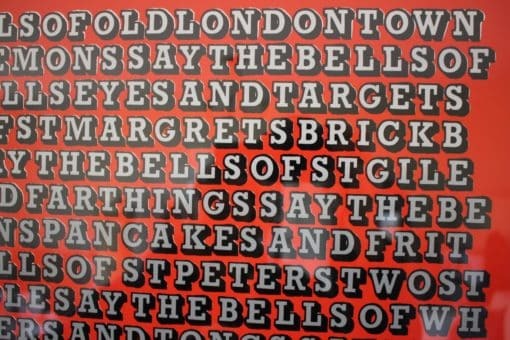 In 2010 his artwork was gifted to President Obama by the UK Prime Minister, and his unique pieces can be seen across London. 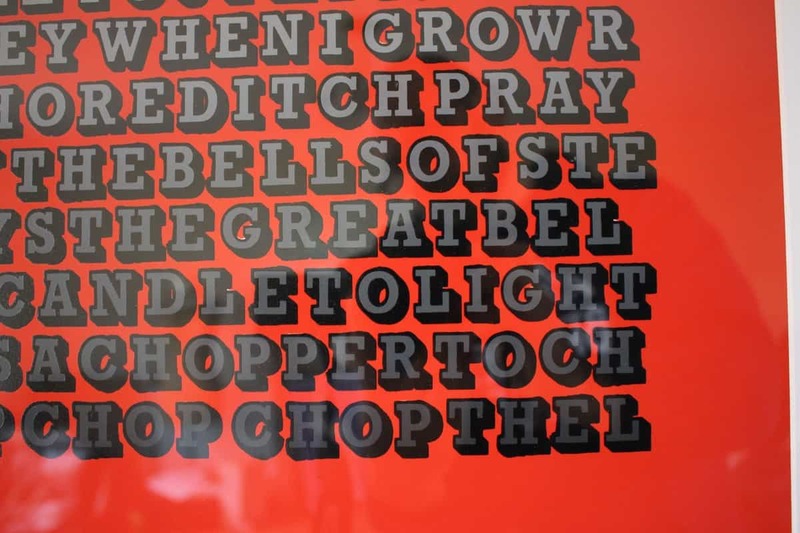 Indeed, a particular area of the East End has been named ‘Alphabet City’ after his colorful array of shopfront ‘shutter art’. 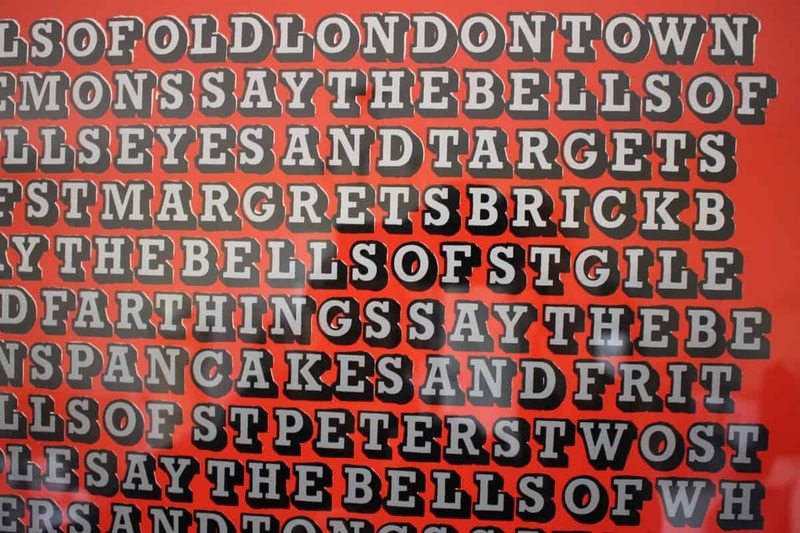 Eine’s work is currently held in the permanent collections of the V&A, London, The Museum of Modern Art, Los Angeles and galleries worldwide.